Are you a designer interested in books and gifts? Apply for the Chronicle Books Design Fellowship and help us build a brand inspired by the enduring magic of books! Chronicle Books is hiring four early-career designers for its design fellowship program. 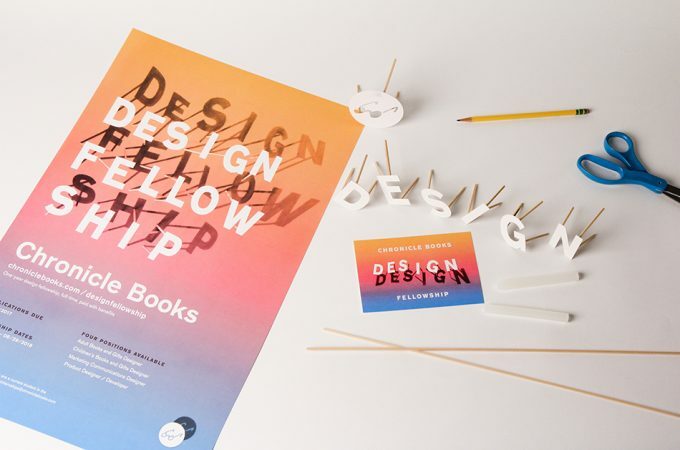 The fellowship is a great opportunity to gain hands-on experience designing our distinctive books, gifts, and brand. Each fellow is mentored by an in-house designer and works across our creative teams, including editorial, production design, marketing, and more. All fellowships are paid positions with benefits and vacation. Fellowships take place at Chronicle Books headquarters in San Francisco. Detailed job descriptions and application instructions for each position are available on the Chronicle Books jobs page. Detailed job descriptions and application instructions for each position are available on the Chronicle Books jobs page. Sign up for our email list to get updates and reminders about the Design Fellowship. The fellowship affirmed that I wanted a career in publishing, it was a crash-course in book design, and best of all, you get to create things that live out in the world - in bookstores and on people’s shelves. So. Cool. I learned so much about marketing and design practices, but also about the people and the products of Chronicle. I had a blast getting to know all of the designers through design meetings, marketing projects, and even the occasional prank! Everyone talks about how much they learned on the fellowship, and I definitely learned a ton, but it was also just plain fun. 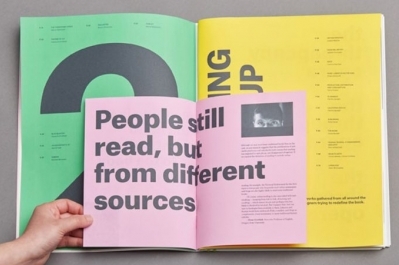 An extra-ordinary experience for anyone interested in book design. Applications for the 2019-2020 fellowship are due by April 2. The deadline means that all applications must arrive at our San Francisco office by April 2. What does the April 2, 2019 application deadline mean? Does my application need to be postmarked by that date, or does it need to arrive by that date? The deadline for submissions has passed, but I have some really great work. Can I please submit my work anyway? We will not consider late submissions for the fellowship program; however, if you would like to be considered for freelance illustration or photography work, please email portfolio_review@chroniclebooks.com with a PDF portfolio or link to your website. I submitted my application on time but haven’t been notified about the results yet. When will I hear back from Chronicle? Applicants will receive confirmation that we have received their submission via email. We aim to notify applicants of their status within a month of the application deadline, but it may take longer due to fluctuations in the fellow managers’ workloads. Please be patient, and if you are extremely concerned about the status you may email studio_coordinator@chroniclebooks.com. Is the Design Fellowship an internship position and can I get school credit for it? No. The fellowship is a full-time paid position, and we will not accept applicants who are enrolled as students during the fellowship period. Is there an internship opportunity available at Chronicle Books? Yes. We have a couple of design internship opportunities that you can learn more about here. We take applications on a rolling basis and if you are interested please submit a cover letter, résumé, and link to your portfolio to designinternships@chroniclebooks.com. If I have additional materials to add to my portfolio can I send them separately or after the deadline has past via post or email? No, all application materials must be sent together in one package. We will not consider materials that come separately or after the deadline. I have a certificate, 1-year degree, or have taken a few courses in design. Am I still eligible to apply for the fellowship program? No. Applicants must have an undergraduate or graduate degree from an accredited college or university. You can check with the administration at your school or search online using the name of your school and the word “accreditation” (e.g., Johnson College accreditation), and typically you will find a link to an accreditation website. Who should I address my submissions package to? Please follow the submission instructions listed on the specific job description. Should I send digital copies or hard copies of my work? Each position has different requirements. Please follow the submission requirements listed on the specific job description for your desired fellowship. Is the design fellowship open to international candidates? Yes, international candidates are welcome to apply; however, you must be legally authorized to work in the United States in order for us to consider you. You are solely responsible for securing the necessary visa and work eligibility, and must provide proof of your work eligibility prior to beginning the fellowship. Chronicle Books is unable to offer sponsorship or visa assistance for these positions. Your eligibility will be held to the same standards as all other applicants, and we accept international applications up to 1 year prior to graduation because it takes 6-9 months to process visa paperwork. If you apply in advance, you must graduate before the fellowship begins. Are there any other current openings at Chronicle Books in the design department? Please visit our website to see all other job listings. Please do NOT send physical, three-dimensional copies of your work. We prefer that you send photographs or images rather than the work itself. After all, one of your tasks as a fellow will be taking product shots, and we’d like to know that you have the ability to show your work in that format. I have some packaging work that I’d like to send you. Do you accept three-dimensional work, or do you prefer that I send you photographs of the pieces? Can I include a CD or a DVD of my work? No, please do NOT include a CD or DVD. We review portfolios old school style only, so your work will not be viewed if it isn’t in a physically bound portfolio format. If I’m in San Francisco, can I submit my work by dropping it off at the Chronicle Books headquarters? Yes, you are welcome to drop your work off rather than paying postage. Just bring your portfolio to the front desk and make sure your work is still addressed correctly. The portfolio requirements state 10-12 examples of your most recent work. Is that referring to the number of pages or projects? That is referring to the number of projects, e.g., your 20-page portfolio contains 10 projects with 2 pages per project. Please refrain from submitting a portfolio with more than 50 pages total. I have a background in illustration. Am I qualified to apply for the Children’s Fellowship? Not necessarily, this is a graphic design-focused program. We are looking for graphic designers who have an interest in Children’s publishing and an understanding of or experience with illustration is merely a plus. Please do NOT submit an illustration-heavy portfolio. If you are an illustrator interested in working with us, we would love to see your work for freelance opportunities. Please submit a link to your website to portfolio_review@chroniclebooks.com. 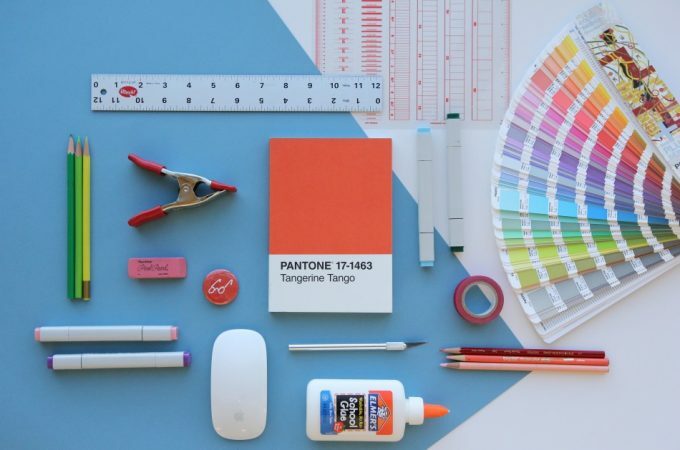 Do you hire freelance illustrators or photographers? Chronicle Books does hire freelance illustrators and photographers for specific projects. If you would like to be considered for freelance work, please email portfolio_review@chroniclebooks.com with a PDF portfolio or link to your website. We will contact you if there is a project that is a good fit for your style. Does Chronicle Books provide housing or relocation assistance to its fellows? 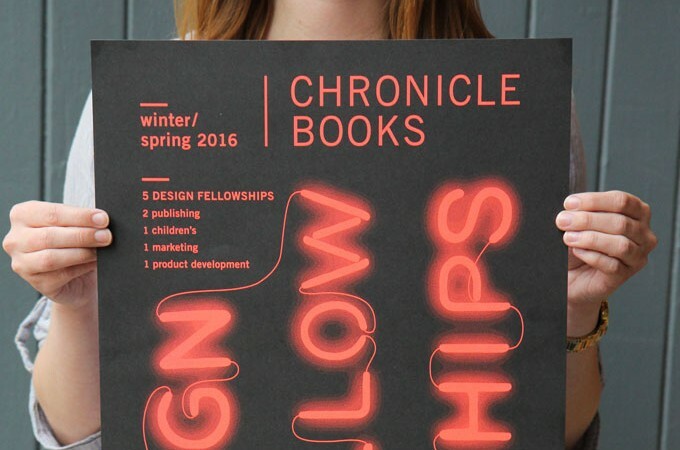 Chronicle Books does not cover housing or relocation costs for design fellows. Can I apply to more than one fellowship? No, please apply to only one fellowship position.